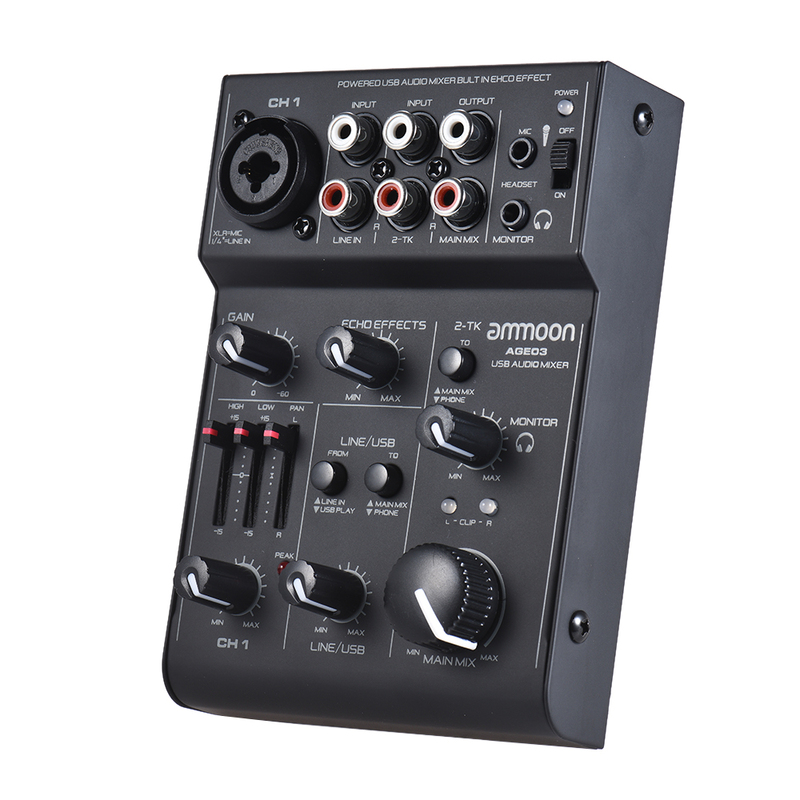 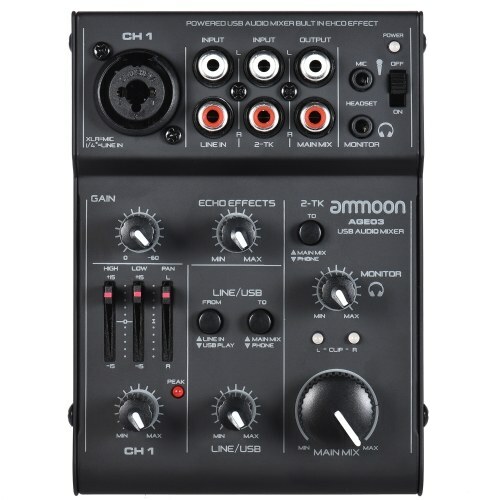 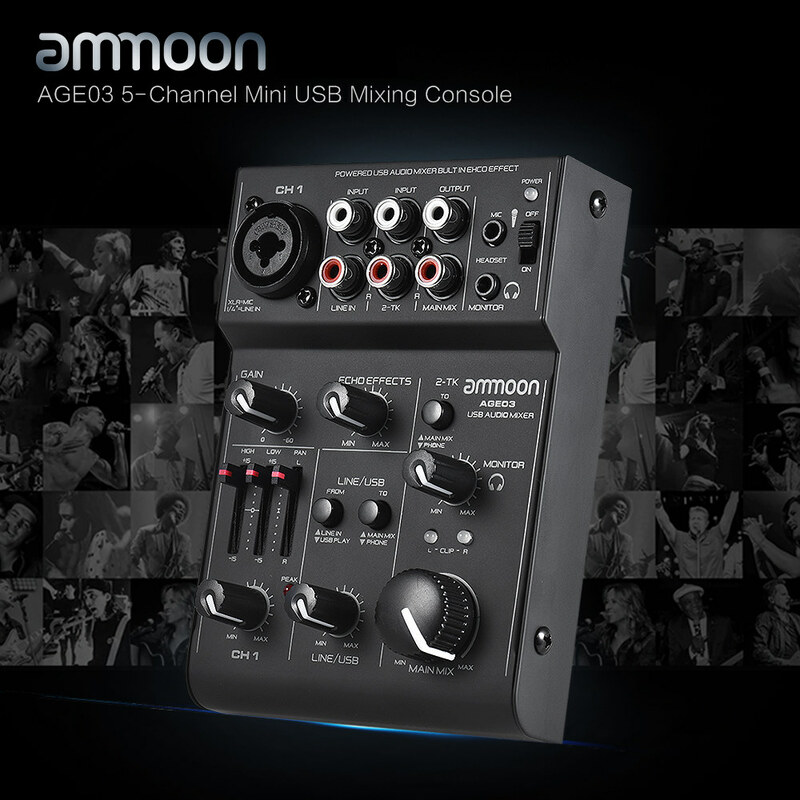 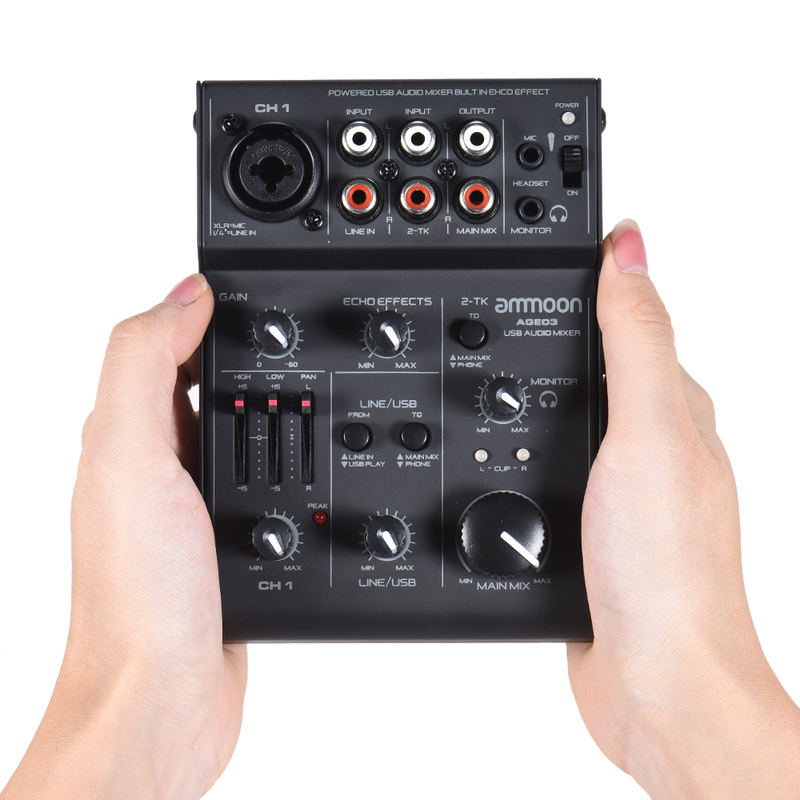 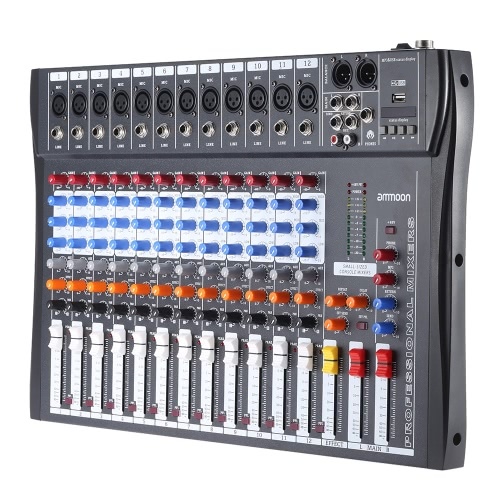 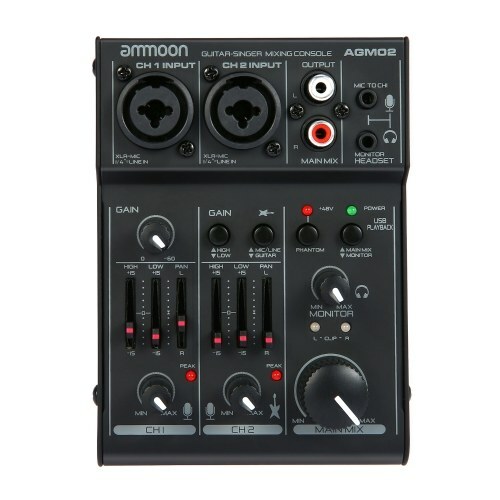 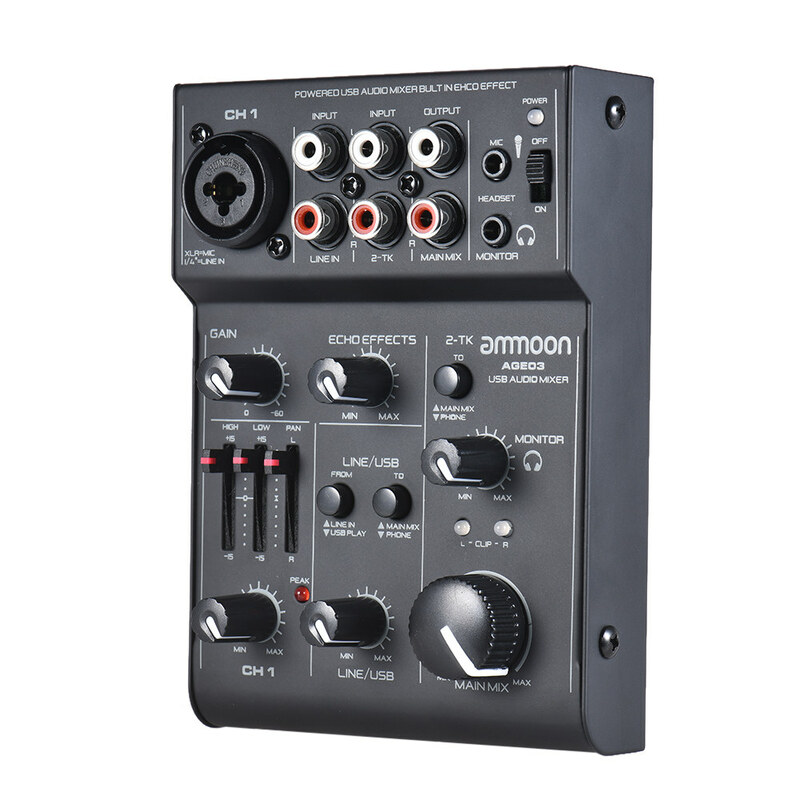 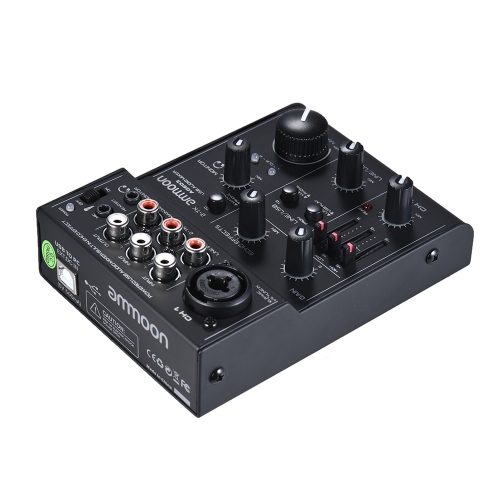 Compact size 5-channel mixing console with USB 2.0 audio interface, and audio data can be sent between the mixer and computer. 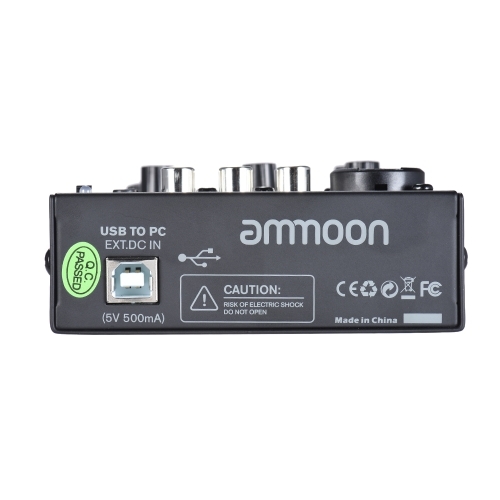 DC 5V low voltage powered, supports 5V power bank or computer power supply via the including USB cable, convenient usage. 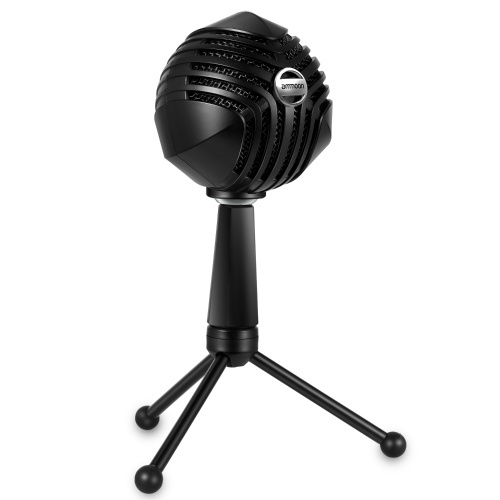 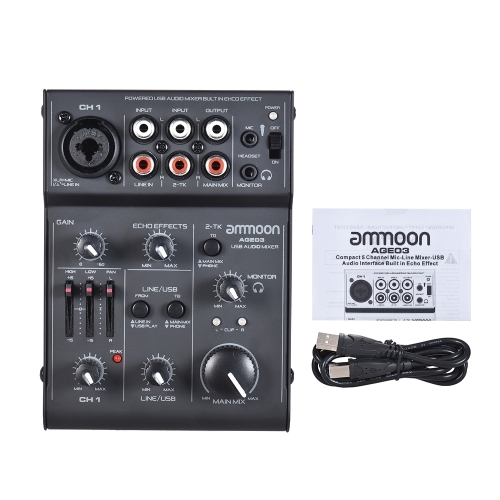 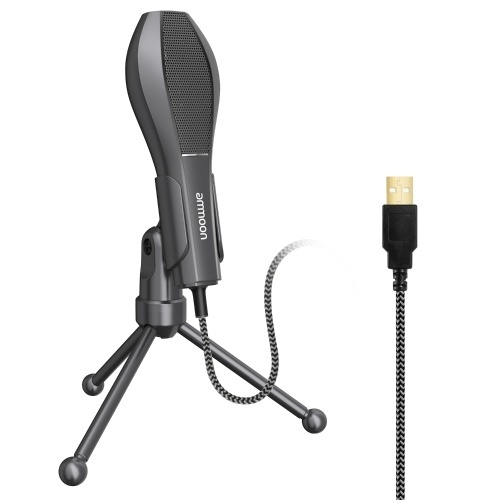 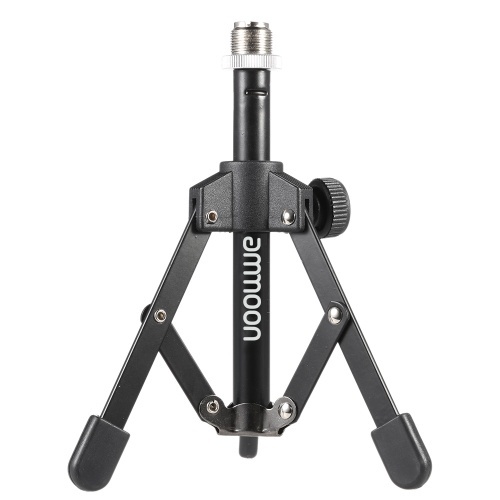 MIC/LINE combined jack can be used to connect mono signal, such as XLR microphone or 1/4" line level. 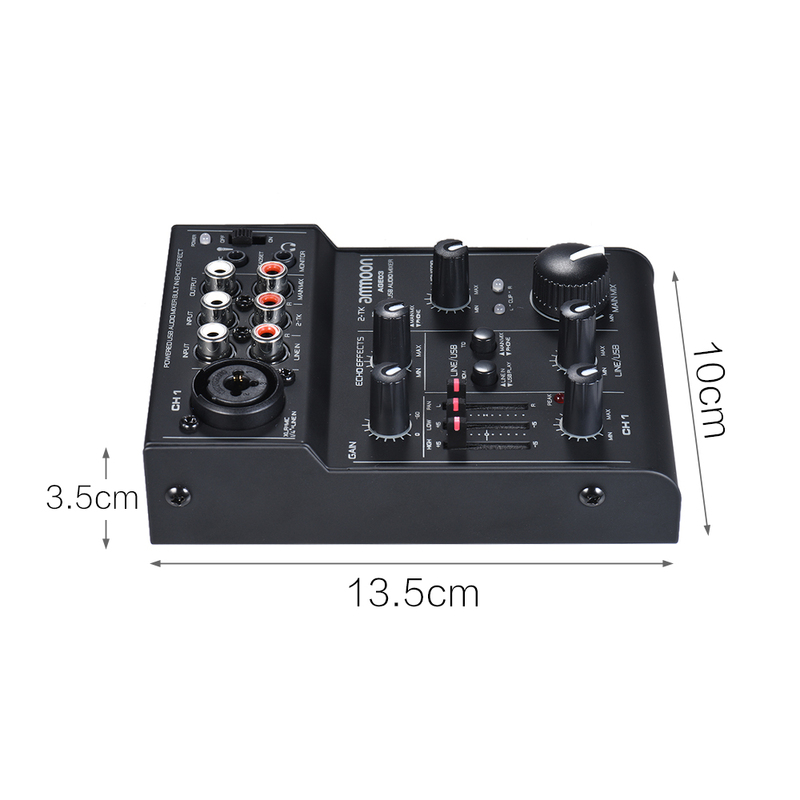 Stereo LINE IN (RCA jacks) & stereo S-TK input(RCA jacks) for connecting an audio source with line level like CD player. Stereo MAIN MIX output (RCA jacks) for connecting the input of and amplifier or a recorder. 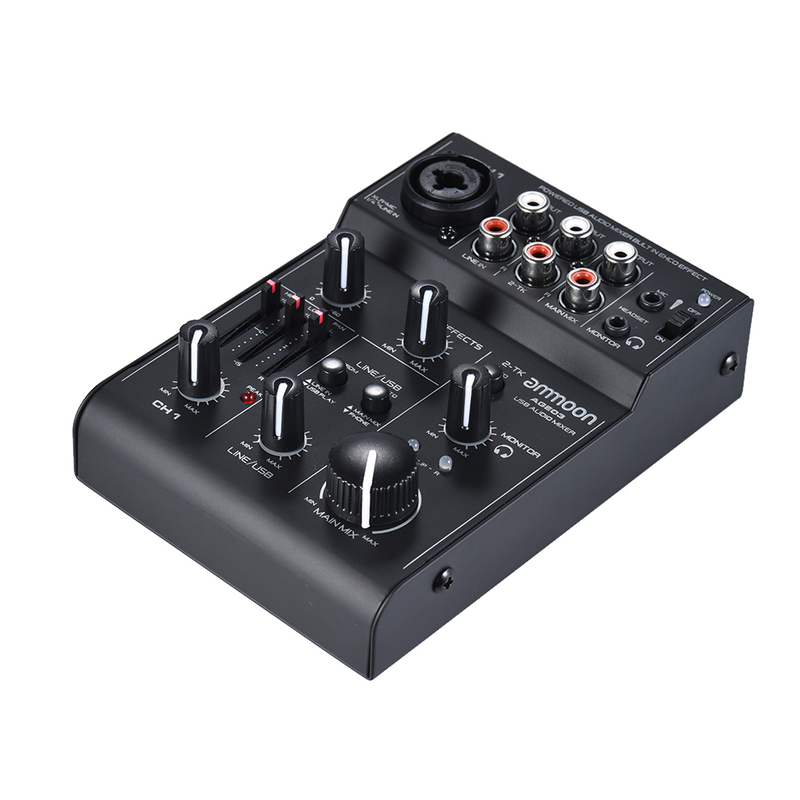 Other features: 2-band EQ(HIGH & LOW) and PAN control; Built-in echo effect; GAIN control; headphone volume control; LED indicator lights; etc.